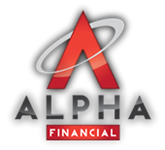 At Alpha Financial, we help business owners design and implement tailor-made retirement plans. Partnering with industry leaders, we proudly help business owners tax-efficiently save money for retirement, while providing employees with desired benefits - giving our clientele a competitive advantage in the hiring process. We know business owner’s time and energy is precious. With our partnership, we help alleviate the financial stress of retirement, and allow you to get back to doing what matters most to you – running your business! As fee-only retirement plan advisors, Alpha Financial strives to efficiently manage our clients Retirement plans. This is accomplished by managing costs, not accepting commissions, implementing academic portfolio investment strategies and providing the highest level of service to all employees and participants. We are dedicated to servicing and educating both you and your participants, and ensuring that everyone understands the benefits of having the right plan. With over 20 years of experience working with small businesses - with a specific focus on Doctors and Dentists - we are confident in our experience and abilities as specialists in this field.